Wharfee provides a more convenient way to enter Docker commands. It autocompletes commands and parameters as you type, and has syntax highlighting. 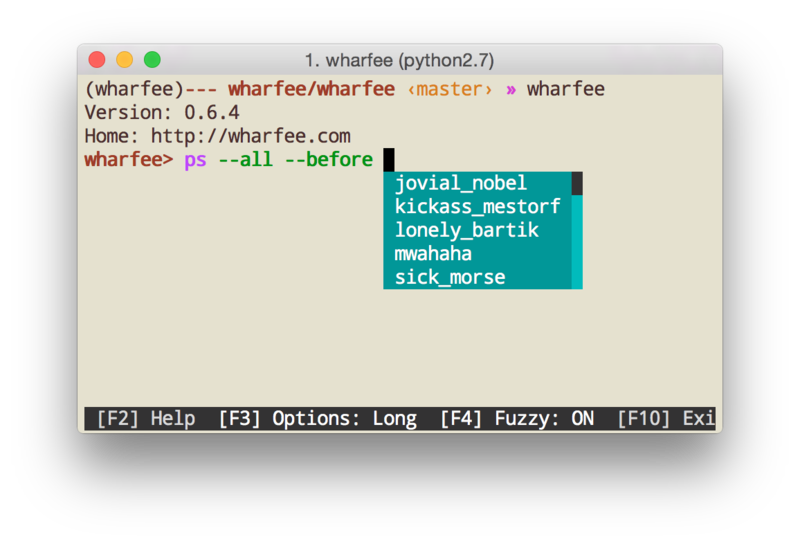 Wharfee is an open source Python package.